Though not as well-known as other Leagues composed of remarkable individuals, the League of Peculiar Gentlemen (LOPG) is none-the-less, an astonishing story of sacrifice, heroism, and strapping things over your face. The first iteration of the LOPG featured six members of astonishing gravity, skill and oddness. They were an international organization, assembled by a joint task force of MI6, the CIA and the RCMP in the days following the end of WWII. Their duty? To counteract the dire threat of the Communist Block and the proliferation of secret organizations dedicated to the destruction of the bourgeois freedoms enjoyed by the people of Western Europe and North America. Their main foe was the Committee for the Advancement of Stalin’s Moustache — a fanatical group of Communist performance artists and facial hair stylists who had already converted many French intellectuals to the Communist ideology. 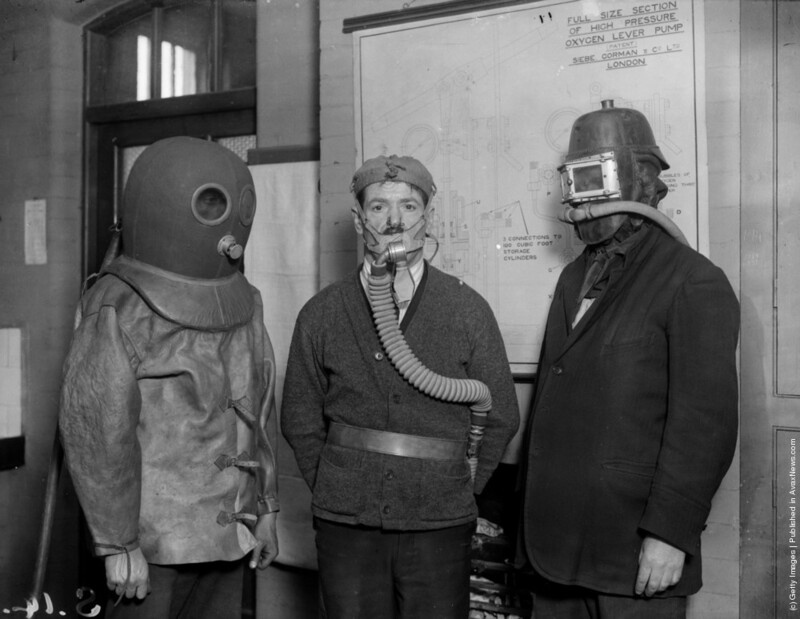 The British members of the League are pictured above from the left to right: Philip Pidgeon-Whaling, aka The Gernsbacker; Wally Impetago, The Heavy Breather; and, of course, the leader of the League of Peculiar Gentlemen, Lord Berty Stumpwhistle, known to the British public as Colonel Helmet. Alltop loves Stalinist facial hairstylings. Originally published May 2012.